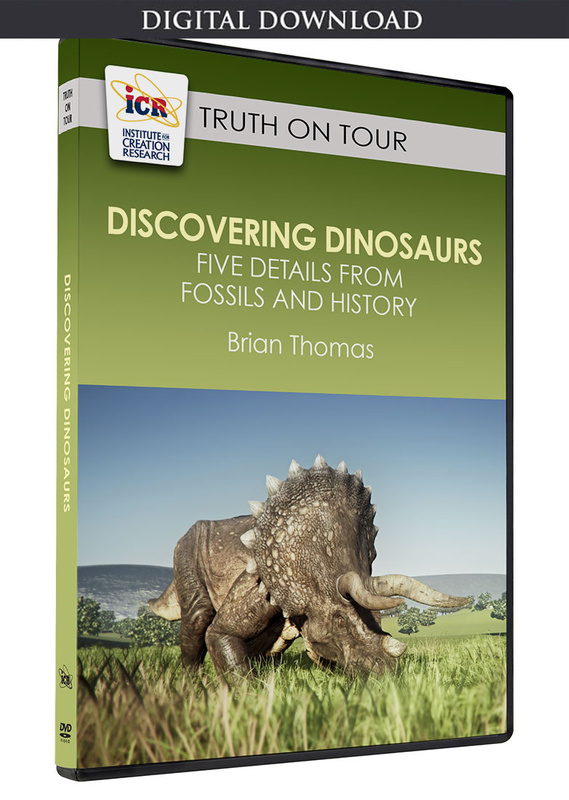 Descriptions of feathered dinosaurs continue to wing their way into scientific literature. While most researchers see each new example as another link in a Darwinian story of reptiles somehow evolving into birds, others fit these fossils into more classical categories. Two new discoveries give owners of these opposing views new opportunities to peck at each other’s ideas of bird beginnings. Both cases are easy to land on a creation-friendly perch. 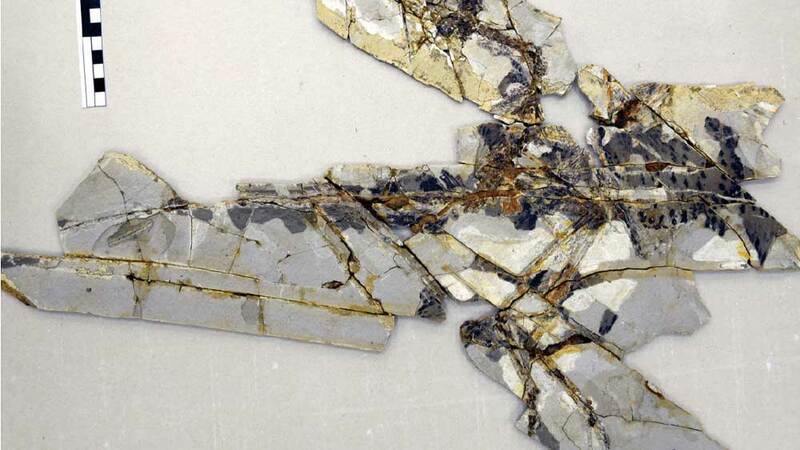 In one report, published in Nature Ecology & Evolution, a team of UK and Chinese paleontologists investigated pterosaur fossils from Inner Mongolia’s Daohugou formation.1 The team found black fibers from these former flyers embedded in the surrounding sediments. Pterosaurs were reptiles. Typical pterosaur reconstructions show smooth, leathery skin, but certain strange examples have long shown hair-like filaments called pycnofibres. University of Bristol paleontologist Michael Benton, who wrote the authoritative text Vertebrate Palaeontology, was senior author of the new report. He told his university, “We ran some evolutionary analyses and they showed clearly that the pterosaur pycnofibres are feathers.”2 Shouldn’t we instead have run some anatomical analyses to answer this question of anatomy? Doesn’t “evolutionary analysis” assume evolution occurred before the analysis even begins? The fibers look just like those on certain so-called “feathered” dinosaurs, including Sinosauropteryx. This Compsognathus look-alike had no wings, while the pterosaurs did. These fibers also happen to look just like what happens to skin that partially rots. None of these fibrous structures share the shape of flight feathers found on real birds. 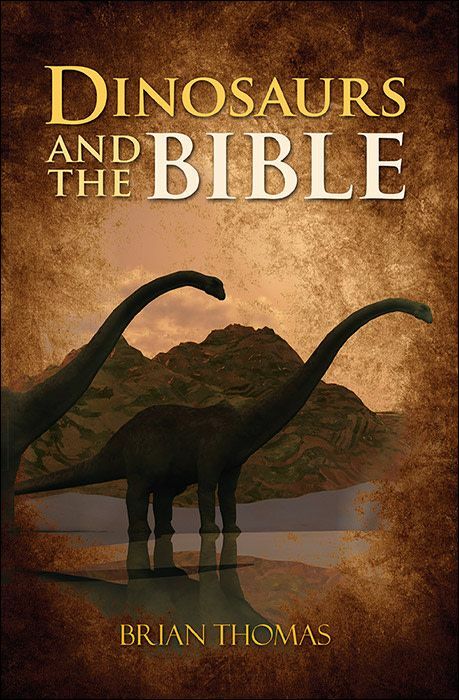 Why hasn’t the rotten-skin explanation taken off as fast as the feathered dinosaur story? In a separate study, researchers identified feather proteins in Anchiornis—another feathered dinosaur candidate. The team members from China and North Carolina published the finds in the Proceedings of the National Academy of Sciences.3 They first removed the sedimentary rock with acid, leaving the feather remnants behind. Then they set the feather material in resin and ran chemical tests and discovered that the darkened material was made of original bird-feather keratin proteins. Plus Anchiornis has actual feathers. Its hind-leg feathers, like the extinct Microraptor, probably meant it preferred to clamber up trees and glide down if need be, rather than fly upward. But roadrunners prefer life on the ground and glide more than they fly, and nobody calls them dinosaurs. The anatomy of these sometimes strange fossils keeps them cooped in their customary categories like pterosaur, dinosaur, or bird. The anatomy of these sometimes strange fossils keeps them cooped in their customary categories like pterosaur, dinosaur, or bird. And that fact makes the notions of mere fibers as feathers, or birds as dinosaurs seem like flights of fancy. 1. Yang, Z. et al. 2018. Pterosaur integumentary structures with complex feather-like branching. Nature Ecology & Evolution. 3 (1): 24-30. 2. New discovery pushes origin of feathers back by 70 million years. University of Bristol News. Posted on Bristol.ac.uk December 17, 2018, accessed February 6, 2019. 3. Pan, Y. et al. The molecular evolution of feathers with direct evidence from fossils. Proceedings of the National Academy of Sciences. Published online before print, January 19, 2019. 4. Molecular Analysis of Anchiornis Feather Gives Clues to Origin of Flight. North Carolina State University News. Posted on news.ncsu.edu, January 28, 2019, accessed January 30, 2019. 5. “Most interestingly, the acetabulum, like that of scansoriopterids, is not fully open as in theropods, and it exhibits a ‘peripheral medial wall.’” Feduccia, A. 2014. Riddle of the Feathered Dragons: Hidden Birds of China. New Haven, CT: Yale University Press. Kindle Edition, 160. Image credit: Copyright © 2019 PNAS. Used in accordance with federal copyright (fair use doctrine) law. Usage by ICR does not imply endorsement of copyright holders.